Dr. Beth Kattelman is a performance scholar and director who received her doctoral degree in theatre from The Ohio State University in 1999. She also holds a masters’ degree in information science from Kent State. Her research interests center on popular entertainments and the history of magic and conjuring, with a particular focus on horror entertainments. 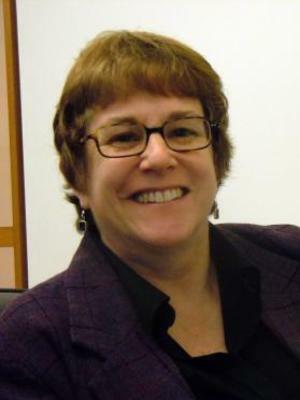 Dr. Kattelman also conducts research in the areas of GLBTQQIA film and performance theory. She has published numerous essays including “Where Were You When the Lights Went Out? : American Ghost Shows of the Twentieth Century." In Theatre and Ghosts: Materiality, Performance and Modernity. Ed. Mary Luckhurst and Emilie Morin (Palgrave Macmillan, 2014); "Spectres and Spectators: The Poly-technologies of the Pepper's Ghost Illusion," in Theatre, Performance and Analogue Technology : Historical Interfaces and Intermedialities. Ed. Kara Reilly (Palgrave Macmillan, 2013); "'We Dare You to See This! ': Ballyhoo and the 1970s Horror Film," Horror Studies 2.1 (2011): 61-74, and "Magic, Monsters, and Movies: America's Midnight Ghost Shows," Theatre Journal 62.1. (2010): 23-39. She is co-editor with Magdalena Hodalska of Frightful Witnessing: The Rhetoric and (Re)Presentation of Fear, Horror and Terror (Inter-Disciplinary Press, 2014). Dr. Kattelman co-founded Madcap Productions, a Cincinnati-based, touring puppet-theatre company, where she worked as a professional puppeteer for eight years. She continues to work as a puppet designer and consultant for numerous companies throughout Columbus. She was responsible for creating the puppets and coaching the puppetry for the Contemporary American Theatre Company’s 2012 production of Avenue Q, a show that was revived by popular demand in 2013. She also directs the award-winning puppet troupe The Puppet Queers. In addition, Dr. Kattelman has directed several acclaimed productions for Columbus companies including The Rocky Horror Show (Stage Five Repertory Company), Agnes of God (Reality Theatre), The Long Christmas Ride Home (The Ohio State University), As You Like It (Actors’ Theatre), and Sordid Lives (Evolution Theatre). She also co-founded and served as Artistic Director of the New Venture Theatre a company that was devoted to showcasing and developing new works. She has performed with The ArtReach Touring Theatre, The Reality Theatre, Act Out Productions and Actors’ Theatre, and has worked with Megan Terry at the Omaha Magic Theatre, where she served as company member and sound designer for productions of Body Leaks and Sound Fields/Sound Minds.